I was inspired this week to create some reinforcer mats for some of my articulation students. 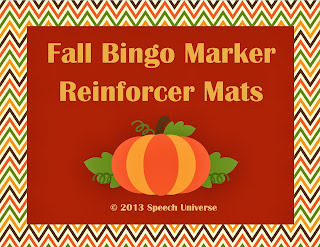 You could also use these mats for language activity reinforcement. 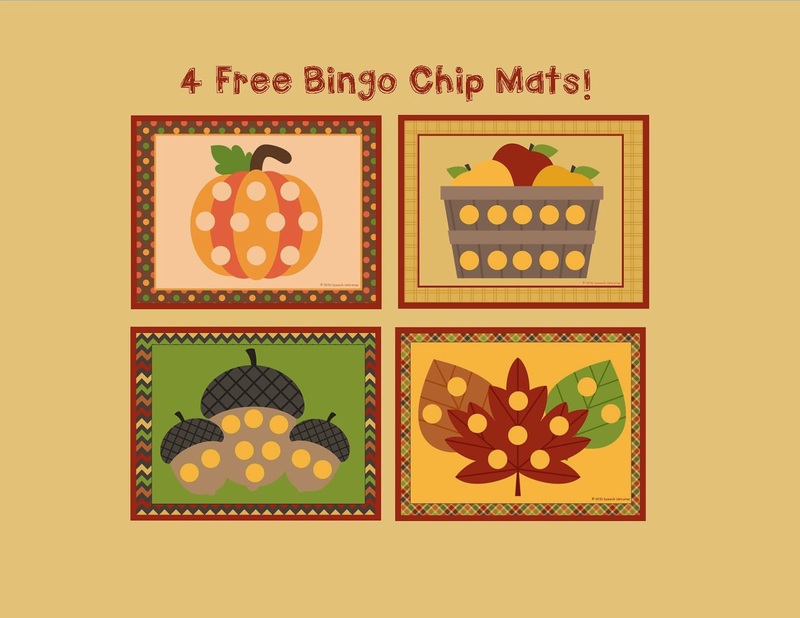 I love to use mats like these with magnetic bingo chips. My students love to use the magnet to clean up after their trials. They will use the mats multiple times in a session, just so they can clean them up! 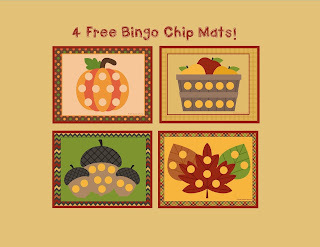 You can get these free fall mats by liking my Facebook page and clicking on the free downloads button. I would love to be able to access these mats, but Facebook is blocked at our worksite. Do you have other options? I'm sorry, but right now these mats are just a thank you to people who follow my Facebook page. Can you log on at home to get them? I am planning on creating more down the road that I will share in different ways. Thank you for your interest!